The 5600 Series, a member of the POWERMATIC Family of Operators, offers functionality and control at an affordable price. Ideal for retrofit application, the 5600 Series converts interior, non-fire rated doors for ADA compliance easily and affordably and provides a simple way to achieve touchless environments in public restrooms. 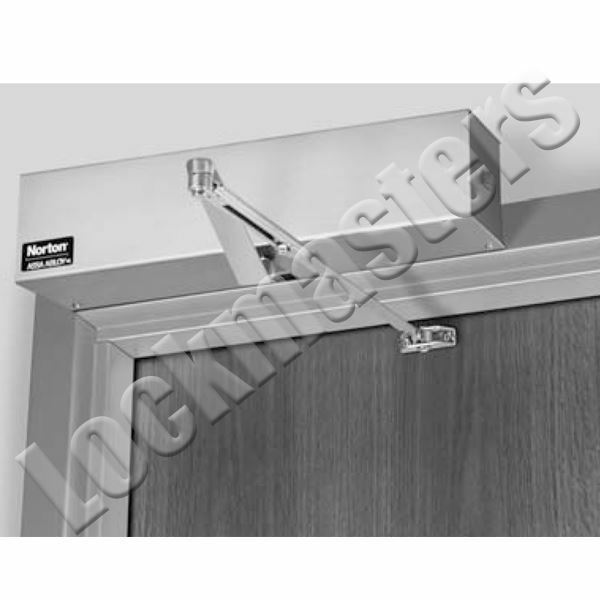 Available for push or pull mounting, this unit can be operated manually or activated by wall switches, or radio frequency devices. Easy to install, set-up and adjust, the 5600 Series is perfect for ADA-compliant offices, classrooms and dorm rooms, and touch free applications like public restrooms, labs and examination rooms. As the door is manually opened, the operator “senses” movement and opens door to the full-open position.